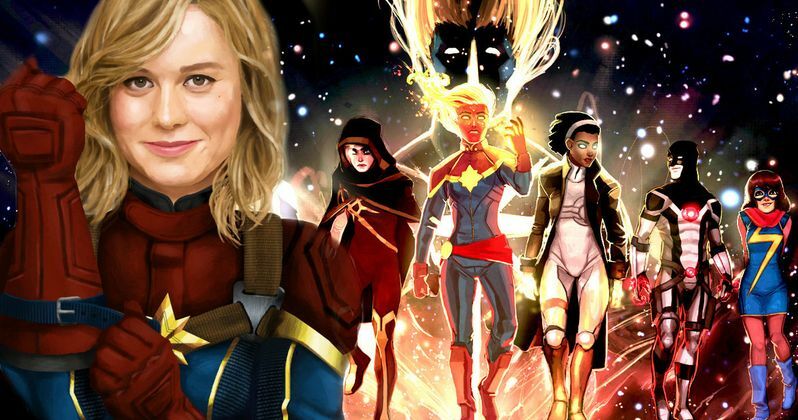 Marvel Studios has brought on Geneva Robertson-Dworet to write the script for its highly-anticipated Captain Marvel movie. The studio brought on Nicole Perlman (Guardians of the Galaxy) and Meg LeFauve (Inside Out) to write Captain Marvel back in April 2015, although it isn't clear if Geneva Robertson-Dworet will be starting from scratch with a page one rewrite, or if she will be working from this original draft. Since the movie doesn't hit theaters until March 8, 2019, there is still plenty of time to get the screenplay in working order. The Hollywood Reporter broke the news today, adding that Meg LeFauve has now moved on to write and direct the new Disney animated film Gigantic. Nicole Perlman also signed on last year to write the highly-anticipated and controversial Labyrinth remake, so its possible that they were both simply not available for further rewrites, which lead to Geneva Robertson-Dworet coming aboard. While there is still much we don't know about this story, it was confirmed at Comic-Con that it will take place in the 1990s, and that the villains will be the Skrulls, with the story confirmed to be set during the epic Kree-Skrull war from the comics. What isn't known at this time is if the original script by Nicole Perlman and Meg LeFauve was set in the 1990s or if it featured the Kree-Skrull war, although if the original script didn't feature those now-confirmed aspects of the story, it's easy to see why a new writer would be brought on. There have also been reports that the Kree hero Mar-Vell will be featured in this story, and it has also been confirmed that Samuel L. Jackson will be "de-aged" to play a younger Nick Fury, who will have two working eyes for the first time in the Marvel Cinematic Universe. It's possible that this story shows how he lost his left eye, although that has yet to be confirmed. There have also been reports that Captain Marvel will take fans back to the mysterious Quantum Realm, which was featured in Ant-Man and Doctor Strange, which could be where Carol Danvers (Brie Larson) obtains her immense powers. Kevin Feige has teased that Captain Marvel will be the strongest hero within the MCU, and there have been rumors that Brie Larson was cast so early so she can make her introduction in the long-awaited Avengers: Infinity War, which hits theaters May 4, 2018, 10 months before Captain Marvel hits theaters on March 8, 2019. It's possible that she could appear in Avengers 4, which has already started production and hits theaters on May 3, 2019, a few months after Captain Marvel, but that hasn't been confirmed either. Marvel announced in April that Anna Boden and Ryan Fleck (Mississippi Grind) have signed on to direct Captain Marvel, which has been confirmed to be an origin story. Marvel hasn't confirmed one way or another when production will begin, but with a new writer on board, the project is certainly moving forward. Geneva Robertson-Dworet is one of the hottest up and coming writers in Hollywood, having made the Black List in 2012 and 2015, while also joining the Transformers writers room as well. She is writing Sherlock Holmes 3 for Paramount, along with the upcoming Tomb Raider reboot, which hits theaters next March, the Dungeons & Dragons reboot and the upcoming Gotham City Sirens for Warner Bros.